Quick screen changer is mainly used in plastic machinery, can not stop the replacement of the filter screen, is suitable for the pearl cotton foam machine. The use of hydraulic quick net changing device of saving time and labor, energy saving, and can greatly reduce the waste of raw materials. 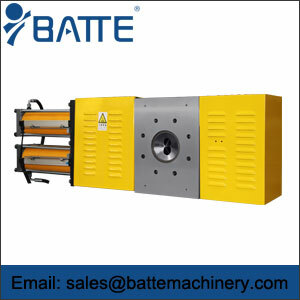 Quick net changing device designed for extrusion machine manufacturing, short delivery can be made, very durable, one type of structure can not stop the fast changing network, including extrusion screen changer using electric heating, wide scope of application. The effect of this kind of quick change in net for the extrusion production is small, which can be applied to most of the plastic extrusion process. Change the network speed one to three seconds, depending on the size of the screen. Single plate double working position filter channel alternate work, changing network is very fast, easy to produce and maintain. It is a device which can adjust the sealing device to meet the high output of any polymer, which can be used in conjunction with different standards. High anti wear, high pressure, high accuracy of the screen design, improve the effective area and the quality of the filter. Under the condition of the pressure 25-30Mpa, the temperature is about 300, the performance is not affected. Almost all of the polymers are capable of using fast PS, such as:, PC, PE, EVA, PMMA, PET, PU, PP, etc..